Cook potatoes in oil in a large skilled over medium-high heat for 10 minutes. 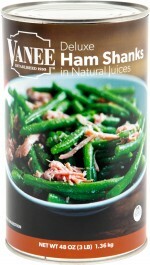 Drain and shred Ham Shanks in Natural Juices. 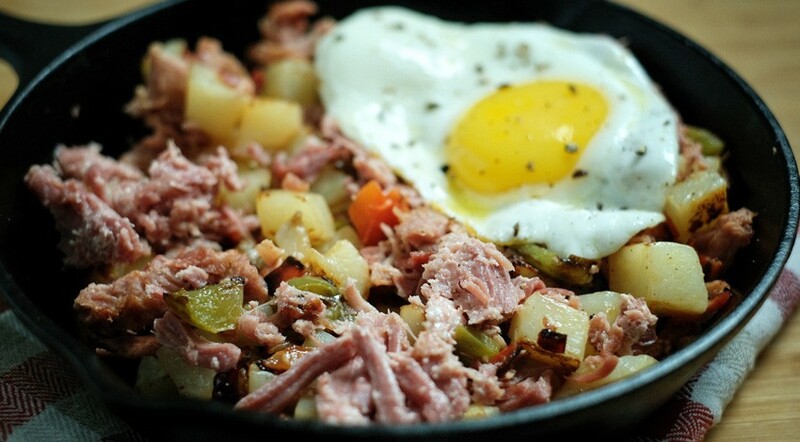 Add ham, peppers and onion to potatoes, stirring frequently, for 10 minutes. Season to taste with salt and pepper. Fry or poach eggs to order and serve over 8 ounces of potato mixture.